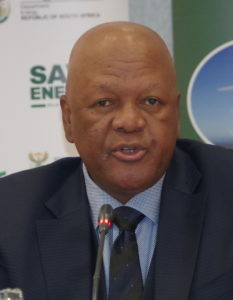 The minister of energy, Jeff Radebe, has published the long-awaited draft of the integrated resource plan (IRP) for electricity (2018) at a media briefing in Pretoria. The public have 60 days to comment on this new plan. The details are outlined below. The IRP follows a process which was initially promulgated in 2011. It was, the government said at the time, to be a “living plan” with regular updates. However, the plan has not been updated until now, officially, although an early draft was presented by a former energy minister. That plan drew a great deal of criticism from the energy industry – especially those involved with renewable energy technologies – because of the limitations set on wind and solar generation. These limits were seen to be unrealistic and unnecessary in the light of massive cost reductions in these technologies in recent years. This draft has the approval of the South African government, Radebe said, and is released for public comment. The new IRP adds 25 GW of electricity generating capacity with no new nuclear, pumped storage or CSP. Instead, gas and wind power are to contribute more than half of the extra capacity. Coal-fired power generation will drop from over 80% currently to less than 50% by 2030 according to the new plan (see Table 1 below). The promulgated IRP, commonly referred to as the IRP 2010 is currently being used to roll out electricity infrastructure development in line with Ministerial Determinations issued under Section 34 of the Electricity Regulation Act. The electricity generation and distribution landscape in South Africa is changing at a rapid pace compared to the period before 2010. In keeping to our climate change commitments, the country has also introduced renewable energy through independent power producers. Technology advancements and the decline in cost make it possible for end users to now generate their own electricity. Increasing electricity prices have also made substitutes such LPG a viable alternative for cooking and heating. Electricity demand is therefore no longer captive to the national grid (Eskom or municipalities) which impacts supply and demand planning. As indicated in my engagement with business, labour and community representatives at NEDLAC on Friday, rising electricity prices are of concern to us as they threaten to reverse our energy access gains. Many of our people are struggling to pay for the services and are therefore reverting back to using wood for cooking and so forth. This is not the case only in rural areas but also in urban areas. These cost pressures do not only affect households but they also affect industry. I am inundated with requests for intervention from energy intensive companies on the verge of closing down due to high electricity costs. I am happy to share that in June I approved a framework developed in consultation with the Regulator (NERSA) which enables Eskom and the NERSA to consider temporary special pricing agreements which assist in avoiding these companies from closing down and jobs being lost. 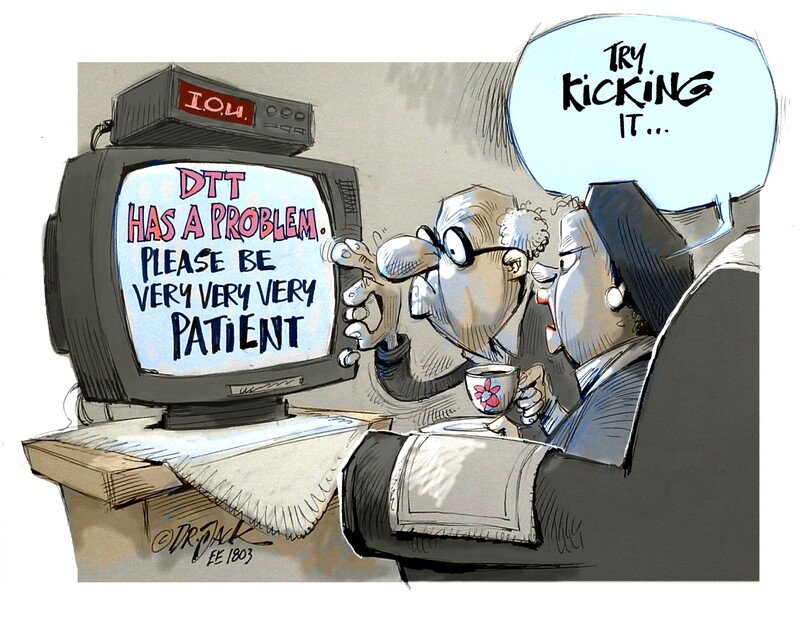 These I have to emphasise will also assist with Eskom falling electricity sales volumes. It is therefore in this context that our electricity planning philosophy aims to minimise the cost of electricity while keeping up with our environmental commitments. The electricity demand on the grid continues to decline on an annual basis and we are currently sitting at volumes similar to those of the year 2007. For the financial year ending March 2018 the actual total electricity consumed is about 30% less than what was projected in the IRP 2010. Eskom existing generation plant performance is not at expected levels. Eskom’s own reports show that plant availability is below the IRP 2010 assumptions of 80% and above. To date additional 18 000 MW of new generation capacity in the form of coal, pumped storage and renewable energy has been committed to, with most of the capacity already connected to the grid and the rest to be realised between now and year 2022. Cost of new generation technologies has significantly come down and this can be seen in the costs of wind and PV based on the projects procured to date. Following Cabinet approval in November 2016, the Department published the assumptions for public consultation. A preliminary base case or reference case was also published but for information. Key comments received from those consultations were mainly on the consultation process, the projected electricity demand, assumed technology costs, as well as the imposing of annual build limits on renewable technologies. The public during the consultation process asked for another opportunity to comment on the updated IRP before final publication and that is the reason we are releasing the report today for inputs and comments. The electricity demand forecast published then was said to be outdated and not aligned to the prevailing economic conditions. The demand forecast was revised accordingly and detailed report is available on the website of the Department. The technology costs used in the plan have also been updated accordingly. The concerns raised about the constraining of renewables have also been addressed by including as one of the scenarios tested; a case where annual built limits on renewables are removed. In summary, the report we are publishing today has, where applicable, taken into account public input and comments on the assumptions. I would like to thank all those who took their time to submit input or comments. The Department spent the period after consultations modelling and analysing the various scenarios and their impact on the energy mix going into the future. Scenarios were analysed in line with the objectives of IRP which is to provide electricity infrastructure plan that aims to ensure security of supply while minimising cost of supply, water usage and environmental impacts. The electricity demand scenario which tested the impact of varying electricity demand projections. The gas scenario, which tested the sensitivity of the plan to the assumed gas price projections. The renewables scenario, which tested the impact of removing annual build limits placed on the renewable technologies. The emissions constrain scenario, which tested the impact of using a carbon budget approach to constrain emissions from electricity generation compared to an annual ceiling like with peak plateau decline. At a high level, the review of the IRP undertaken indicates that the pace and scale of new capacity developments needed up to year 2030 must be curtailed compared to what was projected in the IRP 2010. Without a policy intervention, some of the technologies in the IRP 2010 together with new technologies will not be deployed as the “Least Cost” plan contains PV, wind and gas only. Imposing annual build limits on renewables does not impact the total installed capacity of renewable energy technology for the period up to 2030; and there is significant change in the energy mix post 2030 which is mainly driven by decommissioning of old coal power plant that reach their end of life. While the IRP review considered a period up to year 2050, the approach taken in the draft updated IRP is to adopt a plan for the period ending 2030 and for detailed studies and engagements to be undertaken to better inform the energy mix or path post 2030. This approach we believe provides the necessary policy certainty while creating the space for all of us to engage in detail on the impending energy transition and the options available to us as South Africa. The engagements will ensure that the transition we undertake is a “just transition” and is inclusive. Detailed socio-economic impact analysis of the decommissioning of old coal fired power plants that would have reached their end of life. Detailed analysis of gas supply options (international and local) to better understand the technical and financial risks and required mitigations for a renewable energy and gas dominated electricity generation mix post 2030. Detailed analysis of the appropriate level of penetration of renewable energy in the South African national grid to better understand the technical risks and mitigations required to ensure security of supply is maintained during the transition to low carbon future. Detailed technical, cost and economic benefit analysis of other clean energy technologies such clean coal technology, nuclear and others. The retention of annual build limits for the period up to 2030. This provides for consistent and sustained roll out of renewable energy for the period. The inclusion of 1000 MW of coal-to-power in 2023–2024, based on two already procured and announced projects. The inclusion of 2500 MW of hydro power in 2030 to facilitate the RSA-DRC treaty on the Inga Hydro Power Project. The project is key to energising and unlocking regional industrialisation. The utilisation the existing PV, wind and gas allocations in the plan to enable through Ministerial Determinations, renewable energy technologies identified and endorsed for localisation and promotion. Technologies as contained in the plan are therefore a proxy for technologies that provide similar technical characteristics at similar or less cost to the system. The allocations of 200 MW per annum for certain categories of generation-for-own-use of between 1 MW to 10 MW, starting in 2018. These allocations will not be discounted off the capacity allocations in the plan, but will be considered during the issuing of Ministerial Determinations. This will help address requests for deviations from the IRP for qualifying plants. Table 1: Adjusted plan with resultant installed capacity mix for the period up to 2030. Although the installed capacity of coal will be lower than the current installed base, it will still contribute more than 65% of the energy volumes with nuclear contributing about 4%. A closer monitoring of the IRP update assumptions by the Department through the Medium Term System Adequacy Outlook filed with Nersa annually by Eskom’s system operator will ensure we are alive to the prevailing supply and demand balance and we can accelerate or decelerate implementation if necessary or even revise the plan timeously. In conclusion, there are a number of implementation issues brought about by the changing electricity industry that we will also have to look at in details outside of the IRP update process. These include levels of participation of the previously marginalised South Africans in energy sector, the structure of the industry taking into account that electricity demand is no longer total captive to the national grid, the sustainability of licenced electricity distributors, etc. We therefore appeal to the public and the stakeholders to engage with the report we are publishing with the understanding that a “just transition” requires that we while we move with speed to respond to the changing landscape, we take calculated steps to ensure we leave no one behind. The document is available for comments for a period of 60 days starting today. We urge you not to wait for the 60 days but to provide us your written comments and proposals with supporting data or evidence where possible as soon as you have them ready to help minimise the time to finalise the IRP and therefore create policy certainty.